The moment you walk into the former location of Dock at the Bay, you’re welcomed by a friendly greeting staff. 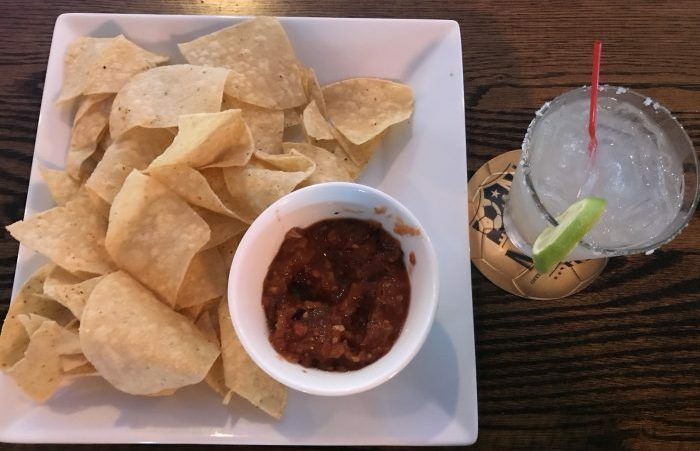 You then take a few steps into a new, classy-looking Dos Amigos Tacos and Tequila, and it quickly becomes apparent that this isn’t your average Mexican restaurant. Mexican-themed instrumental music plays over the speakers, but only just loud enough so customers can still have a conversation without straining their ears. 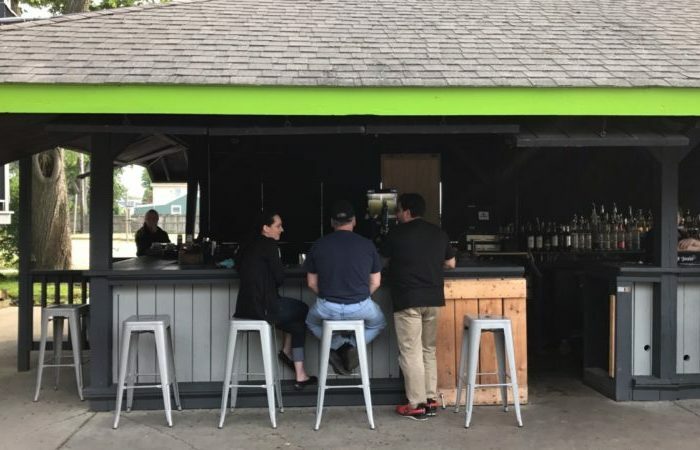 To your right is a long, polished wooden bar, hosting a variety of liquors and specialty concoctions sure to satisfy any patron’s alcoholic desires. To the left, a spacious dining area entices you to sit down and unwind. Beyond that is a gorgeous patio overlooking the waterfront of Lake Erie, designed for maximum relaxation. Co-owner Jay Pasquarella said that was the driving force behind creating Dos Amigos. Along with fellow co-owner Angelo Canna, Jr., the two had the idea in their heads for a couple of years. 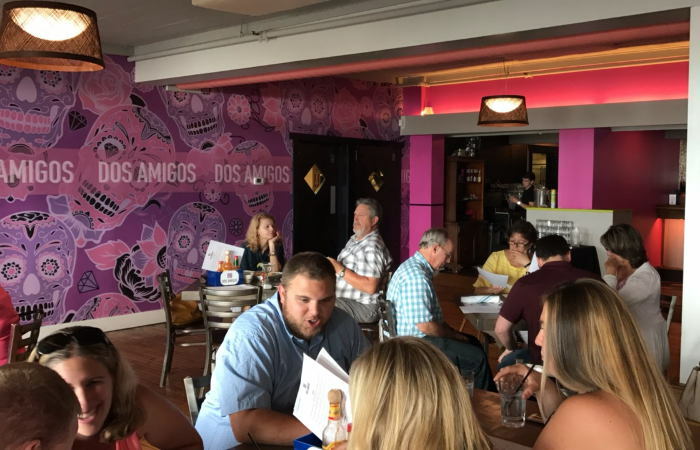 After a past attempt to purchase the location and tireless work, their idea finally came to fruition a couple weeks ago upon the grand opening of Dos Amigos. 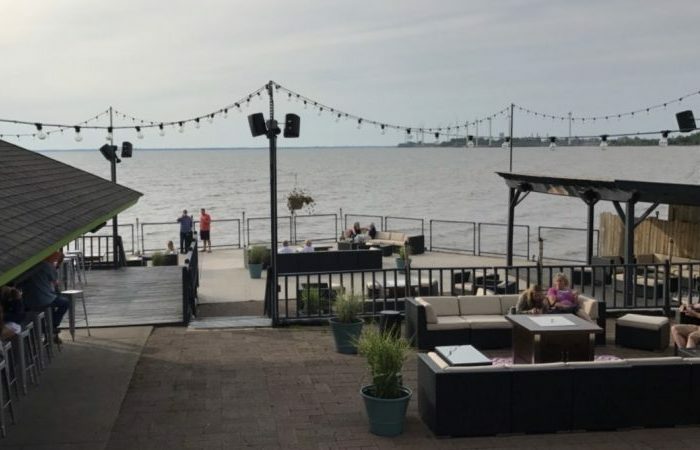 The venue includes 500 feet of waterfront and is the only restaurant on the waterfront serving Mexican cuisine, according to Pasquarella. 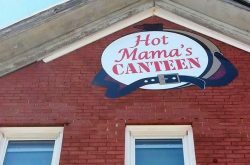 He said the menu draws inspiration from the time he spent in the western United States. 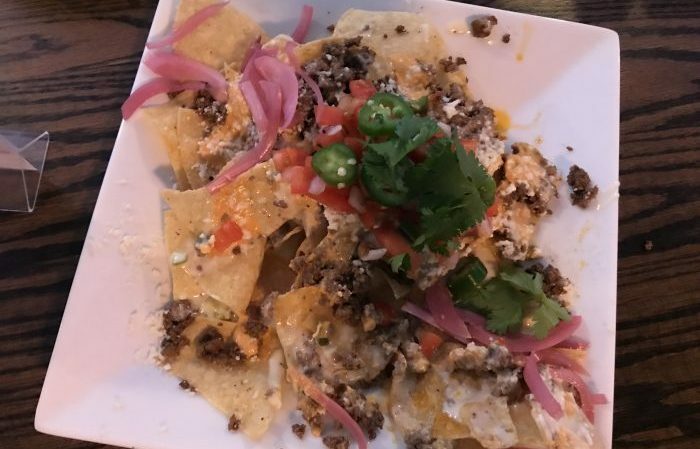 Tacos and tequila are the specialties here, with several choices of specialty tacos with a choice of corn or flour tortillas, over 30 tequilas currently and another 30 on the way. But Dos Amigos also offers a variety of wines, craft cocktails, beer, as well as margaritas. We ordered the blueberry frozen margarita, which, for a lack of better puns, was berry delicious. 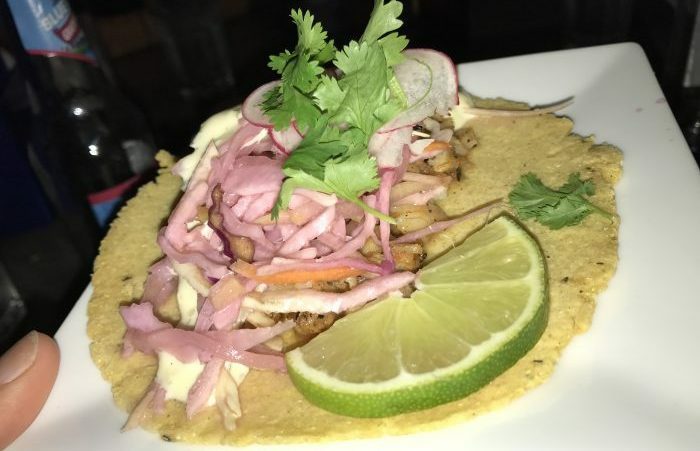 We also had the Bang A Rang specialty taco on corn tortillas, which consisted of crispy fried shrimp, bangarang sauce, fresh cilantro, green onions and purple cabbage. Pasquarella said they use 100 percent Agave tequila and the margaritas have been very well received thus far. 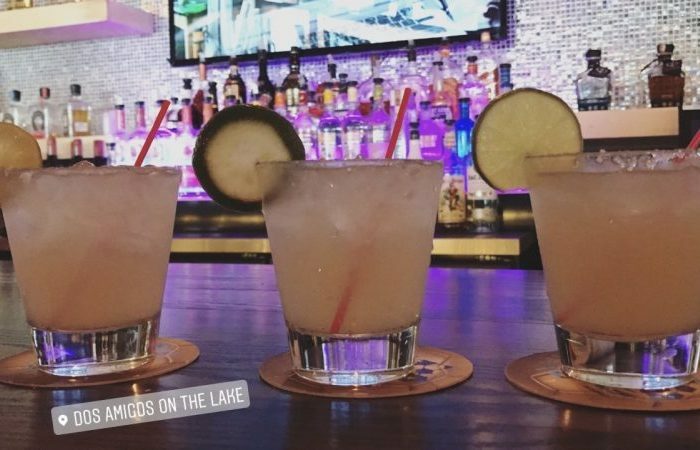 Dos Amigos is also the only restaurant in the area to do flights of frozen margaritas, with four flavors to choose from that change daily. Some flavors include pomegranate, lime, blueberry, strawberry, and peach. Almost everything on the menu is fresh. 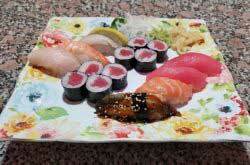 Pasquarella said Dos Amigos receives two-day fresh ocean seafood and uses locally-sourced produce. Then we ventured out to the patio. Ahhhhhhh the patio. Adorned with festive lights, luxurious couches and other furniture, once you sit down, you’re not going to want to leave. Did we mention there’s a full bar outside? 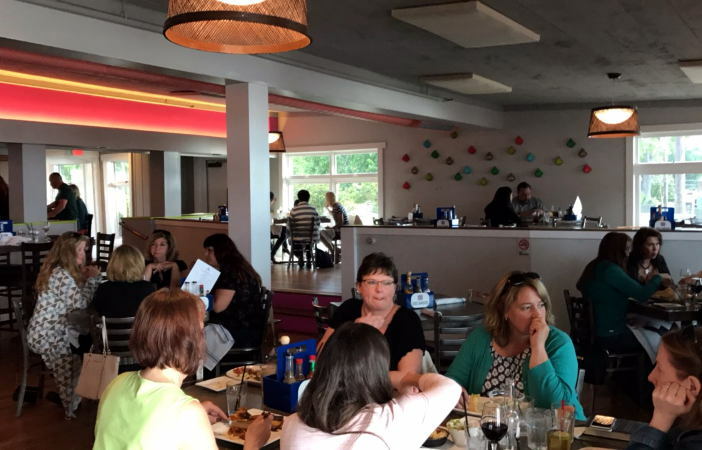 While reservations aren’t required, we recommend them, especially if you’re planning on dining around 6 p.m. on weekdays or anytime on weekends. Pasquarella also mentioned that the upstairs of Dos Amigos is now being used for Lucia’s banquets. But don’t worry Lucia’s fans. They aren’t catering food from down the road. The upstairs actually has its own full kitchen. 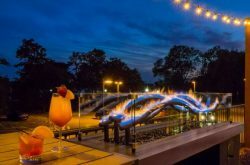 Whether you’re looking to have a banquet at Lucia’s or a relaxing evening on the waterfront with some good food and drinks, this place is worth checking out. Hours: Tues. – Sun. : 4-10 p.m.